A lengthy gap in my postings is over. 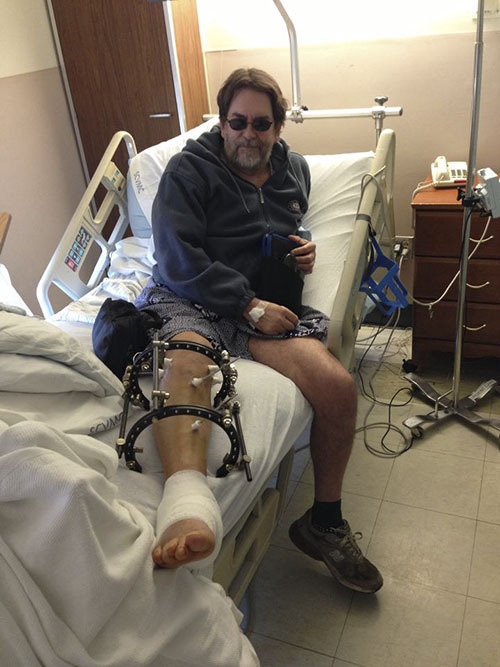 Last year I was in a head-on car collision; this halted most everything in my life, excepting my life – subsequently I have been variously edited by surgeons, loved and cared for by my wife, and twice learned how to walk again. The most recent surgery was three weeks ago, to remove 11 screws and 2 plates from my heel bone (calcaneus) – this has halted progressive metal reaction rheumatism spreading through all my joints. The docs want to do two more edits on my bones; I may be ready to be well enough done. Stay tuned.